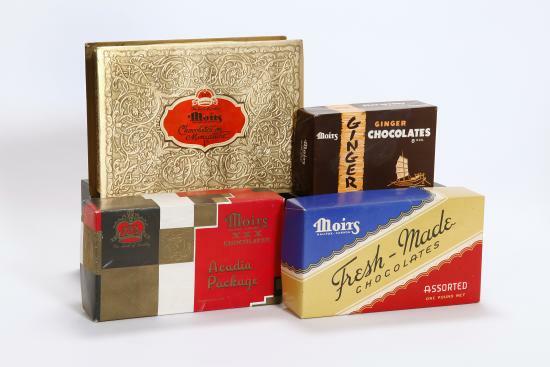 Nova Scotia has made a wide range of goods over the years; from hockey skates to chocolate, from underwear to outerwear. Skates from Starr Manufacturing of Dartmouth. 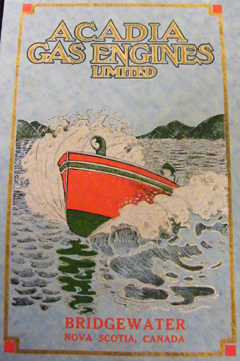 The groundbreaking design created by John Forbes that was sold worldwide. We have examples of the skates and skate blades. 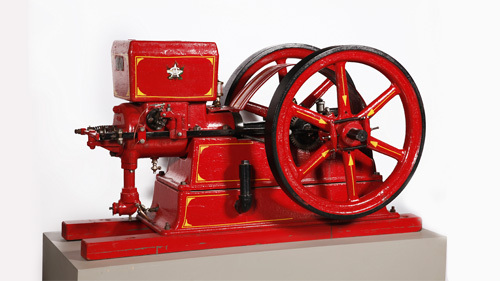 Gas Engines: We have significant examples of the gas engines, many for marine use, that were made in NS by manufacturers like Acadia Gas Engines. Clothing: Nova Scotia had a significant textile and clothing sector at one time making underwear and work wear. We have collected made in Nova Scotia clothing as well as clothing for work. Edge Tools: we have a collection of 40 edge tools made in Nova Scotia including axes, adzes and slicks for the forestry industry, shipbuilding and general use. NS Glass: Trenton was home to a short-lived pressed glass industry that flourished from the early 1880s to the early 1900s. Our exhibits feature an impressive display of examples of this work.